What can I say about the Maxmadco pen? It's a pen. However it may possibly be the last pen you ever own. 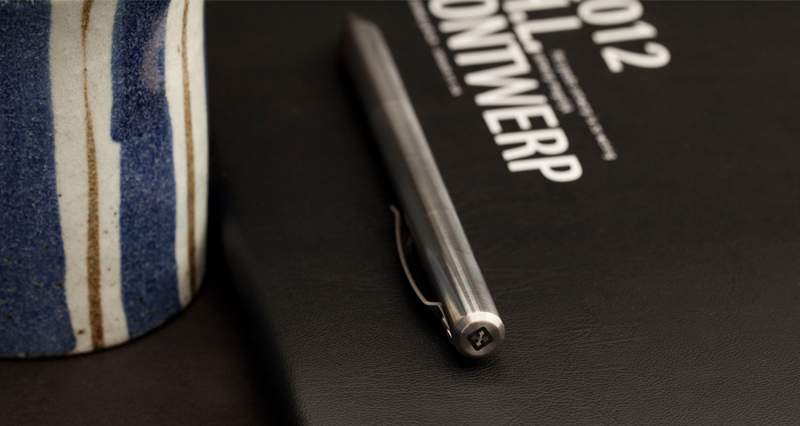 Clean, modern, disarmingly simple, the pen design is the product of years of thought and consideration. The result is that in your hand the pen feels like you could use it to anchor a lion in the center of a ring of singing children dressed as gazelles. In addition to the excellent design and craftsmanship the pen is all the more special because of the man behind it, jim (the lowercase "J" is not a typo). I have been fortunate to count jim as a friend for a number of years now and have come to know him as a man of intelligence, confidence gained through experience, modesty, and tremendous skill. Having spent more than 25 years as a manual machinist his endless passion for his trade elevates it to near artistry. In this context the simple and original design of this pen quietly begins to speak volumes of the effort it took to create the Maxmadco pen. Today's world is one of convenience and instant gratification but often lacking substance, meaning, or value. The Maxmadco pen is something that will last and has the potential to become more than just an utensil to its owner. New designs and ideas are proclaimed daily and just as quickly forgotten. This pen will be something that you will miss when it's gone or search high and low for when it's missing. For those reasons it's a treasured sight in the apron that I put on before I set to work everyday. The Maxmadco pen is available through jim's site.